Sold in 70 countries around the world, translated into 25 languages, hailed by Khaled Hosseini, author of And the Mountains Echoed and The Kite Runner, who calls it "a celebration of the human heart’s eternal yearning for freedom." This is Children of the Jacaranda Tree. These are the Children of the Jacaranda Tree. Set in post-revolutionary Iran from 1983 to 2011, this stunning debut novel follows a group of mothers, fathers, children, and lovers, some related by blood, others brought together by the tide of history that washes over their lives. Finally, years later, it is the next generation that is left with the burden of the past and their country’s tenuous future as a new wave of protest and political strife begins. Children of the Jacaranda Tree is an evocative portrait of three generations of men and women inspired by love and poetry, burning with idealism, chasing dreams of justice and freedom. Written in Sahar Delijani’s spellbinding prose, capturing the intimate side of revolution in a country where the weight of history is all around, it is a moving tribute to anyone who has ever answered its call. Sahar Delijani was born in Tehran’s Evin Prison in 1983 and grew up in California, where she graduated from the University of California, Berkeley. She makes her home with her husband in Turin, Italy. 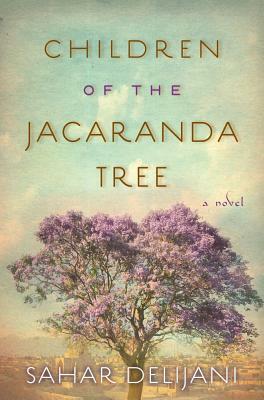 Children of the Jacaranda Tree is her first novel; it has been translated into twenty-seven languages and published in more than seventy-five countries. Find out more at SaharDelijani.com/en.